A £650,000 footpath to link Newton Aycliffe and Shildon has officially been opened. Cyclists, pedestrians, families with pushchairs and children lined up to celebrate the official opening of the Locomotion Way. The three-metre wide path is two miles long and links the railway past and the future. The tarmacked path comes full circle as it traces the route of the former Stockton and Darlington railway line and ends up on the doorstep of Hitachi who are bringing train building back to County Durham with an £82m train factory providing 730 jobs. Locomotion Way is a fast track for commuters by bike or on foot to work or school as it is exactly half the distance of the road route between the two towns. It is also open those who want a more leisurely experience such as families with pushchairs, runners and horse-riders and is fully accessible for wheelchairs and mobility scooters. It comes alongside other path improvements to create a more comprehensive network for walkers and cyclists in County Durham. 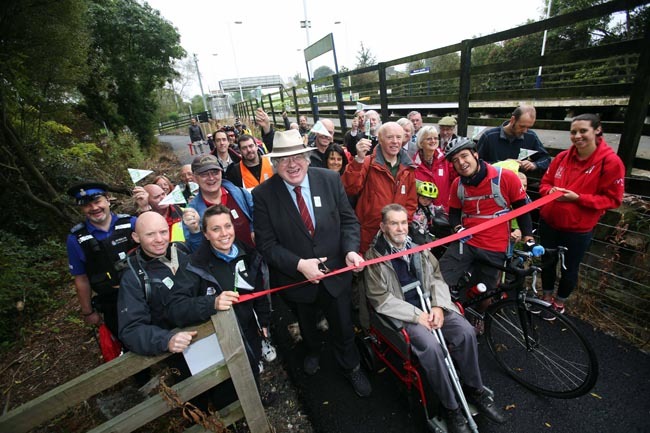 Cllr Neil Foster, Durham Council’s cabinet member for economic regeneration who is pictured (above) officially opening Locomotion Way, said: “This is a fitting way to celebrate the opening of an important corridor as it not only links two towns but also the past and the future. Durham County Council has been working closely with the landowners Network Rail and has provided £350,000 funding. A further £300,000 has come from the government via the Sustrans Links to Communities Fund. 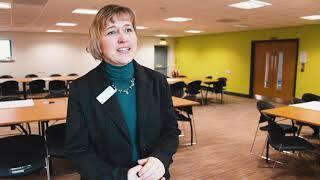 The path comes within the Local Motion campaign, backed by Durham County Council, to promote sustainable transport and healthy lifestyles throughout south Durham. The Stockton and Darlington Railway operated in North East England from 1825 to 1863 and the first line connected collieries near Shildon with Stockton-on-Tees and Darlington. The movement of coal to ships rapidly became a lucrative business and the line was soon extended to a new port and town at Middlesbrough. where does it start from in aycliffe and where does it end in shildon. and can it be joined at stages along the route.